There are no requirements, the girl is completely independent. 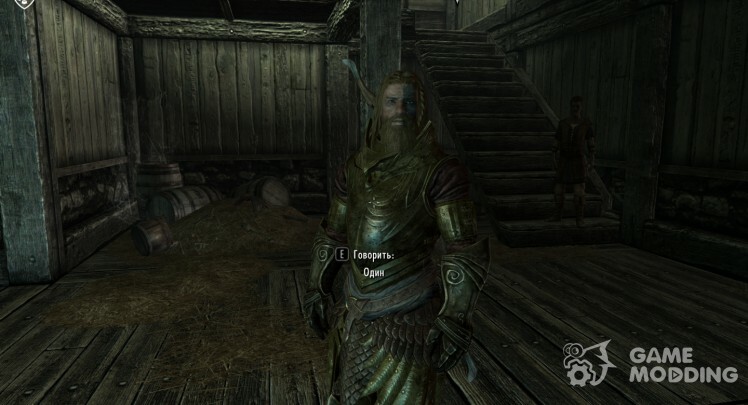 This mod is very simple. 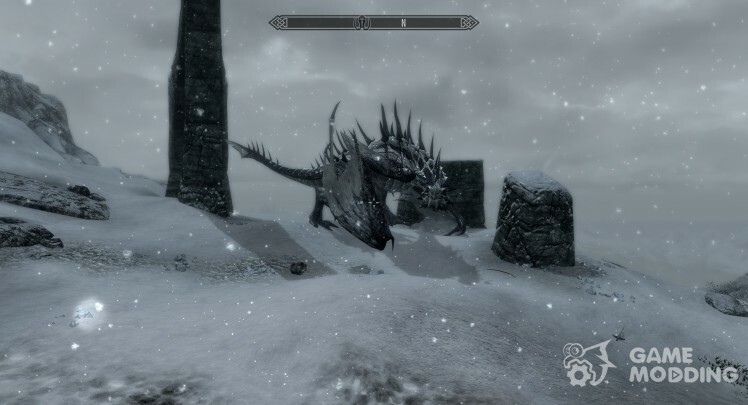 There are Dragon level as the Dragon, it is located near the windy peak. The Dragon itself is passive, if not attacking, thus colliding with it (does not have to kill you). Robbery does not give you something good. 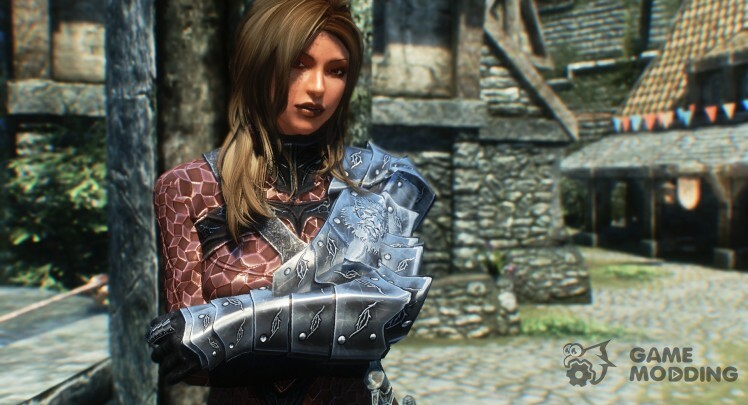 This MOD will add the game a new companion-necromancer named Mary. The girl has a pretty attractive appearance and unique voice acting, though in Japanese. In battle, Mary prefers to use sammona Mother death. Modification replaces the standard model Atronaha female. Model and textures completely changed. 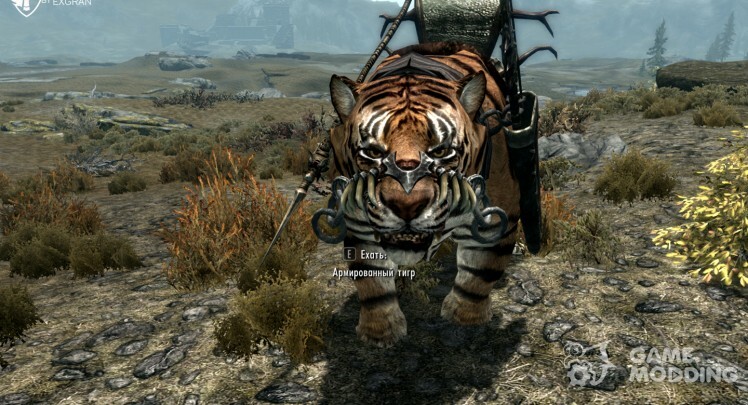 Modification of the Viking-Odin Bloodtooth, adds to the expanse of Skyrim, the new companion by the name of One. Martial characteristics One, more suited to the role of a tank (Tapory, boards, Academia. armor). Find One you can Talmorskogo in prison Embassy. From the author: in the future, I promise to do voiceovers of Odin. 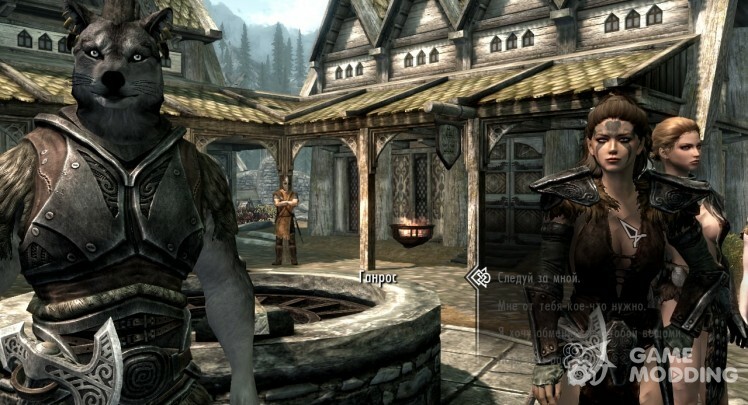 Modification of Zuleika-Standalone Follower, adds to the expanse of the Skryrim wonderful kompan′onku named Zuleyka. Zuleyka is made with 3 different bodies: SevenBase/7B, UNPB and CBBE. I chose the body of lokaliziroval it to 7B and RUS. Find you in "Zuleika Solit′ûde" in the tavern "Laughing rat"
From the localizer: If someone liked the other body's Zuleyka, I can translate it for you. The required Modifications: For SevenBase/7B or UNPB BBP version requires modification of XP32 Maximum Skeleton to prevent CTD. 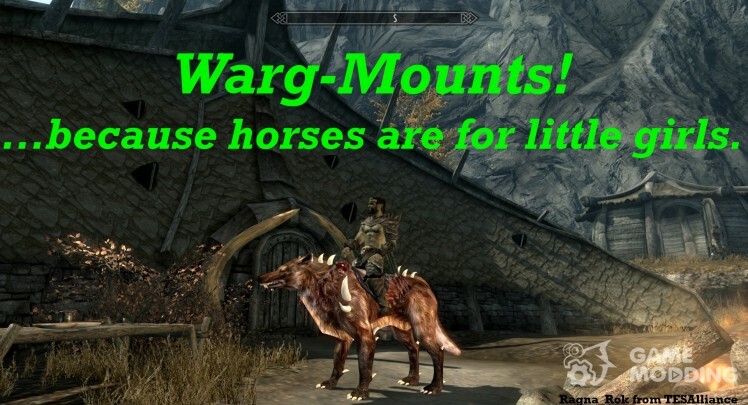 Modification of the Warg Mounts, will add in Skyrim, new mounts, called Vargas. Varga-strong, fierce and loyal creatures who are happy to help their battle masters. The game features several kinds of Vargov and their coloring. 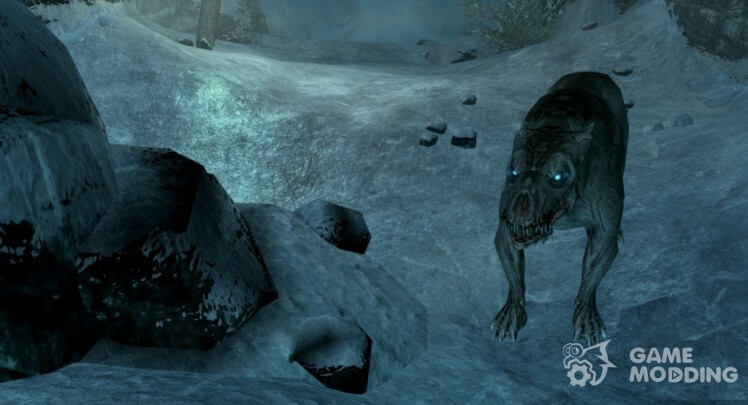 Find new creatures are in Orcish camps. 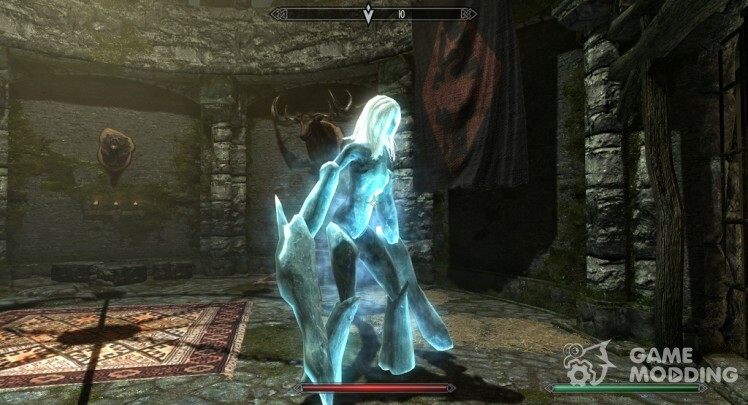 MOD adds new enemies in all the ancient ruins of Skyrim, which are draugry. Though ... New enemies-it's loud said. Rather good old discoloured vampire LAPDOGS. 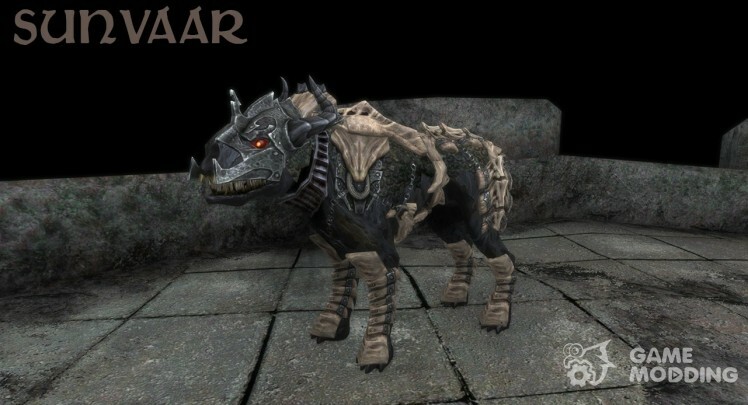 It changed the texture and now the dog is and at draugrov. So no need to yawn. Dangerous enemies, which take a lot of trouble to those who decide to once again cash in on local nordskih upokojnikah. Requirements: Guardian Of The Dawn. 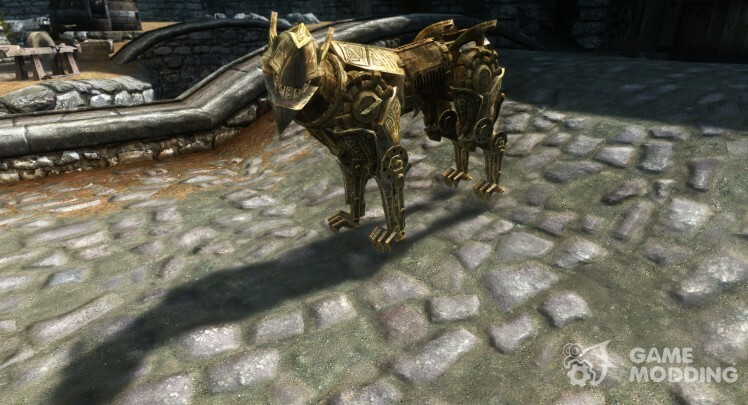 Adds to the game milejšego dvemerskogo Centurion dog K9, which you can find in one of the small rooms Mzinchaleft. Meet with this mechanical masterpiece and go in search of a joint adventure.